If you are unfamiliar with Selle SMP, you are not the only person on the planet. It’s not a saddle you will likely see on a World Tour bike any time soon, as the company chooses not to spend hundreds of thousands of euros to pay teams to ride their product. Instead, they focus on making some of the best saddles in the world. In case you didn’t know, World Tour athletes don’t choose the saddles they ride on, they are paid to ride on a particular saddle. 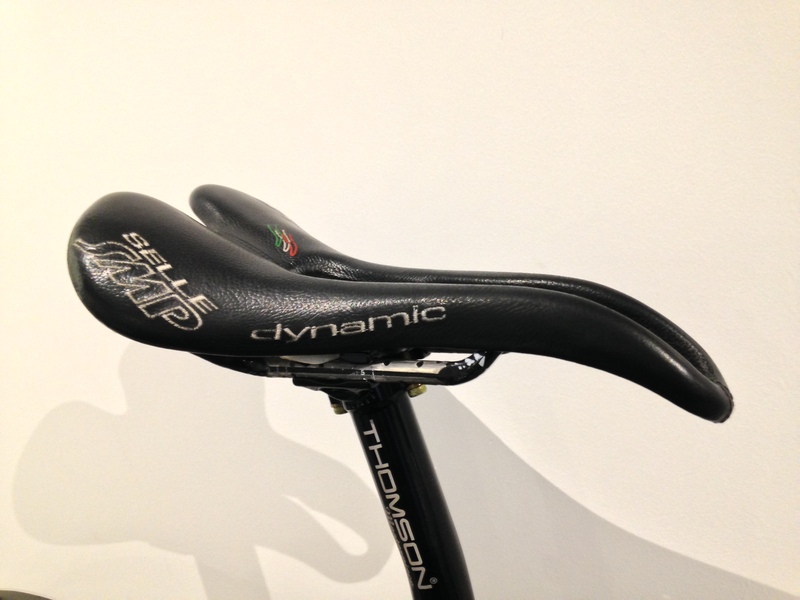 Note: “Selle” simply means saddle in Italian…some people confuse Selle SMP with Selle Italia. These are not the same company. I began carrying SMP saddles in 2013. I carry all types of SMP models and can order any saddle to have it in my shop in three to five days. Additionally, I keep stock of common choices and colors on hand in the shop. In most cases, this means I have one saddle in every model in stock, in black with steel rails. They are available in several different colors, with steel or carbon rails. In my opinion, SMP makes the best product on the market by a significant margin. Saddles are a highly personal choice, and one type of saddle won’t work for every rider out there, but in my experience SMP saddles are an ideal solution for approximately 90% of the riders I see who are looking for a new saddle or who are open to changing. Saddles are a very relative piece of equipment. Most riders settle on something that isn’t a hatchet and ‘deal with it’ because changing a saddle is time consuming, potentially expensive, and it is easy to get lost during the process. I help you solve all these challenges with my SMP saddle test program. To read my SMP Primer article, click here. This article explains why I think SMP makes the best product on the market right now. I also recommend Steve Hogg’s excellent article on SMPs. He describes the various models in detail and it can give you a great idea of where to start in their line up. SMP makes two basic base shapes, and each of these shapes are available with different levels of padding. Normally a rider will try both base shapes, and agree with one more than the other. Then, we can figure out what level of padding is needed. This comes down to personal preference, but in general less padding means lower saddle weight, less pelvic motion and greater stability. Power comes from an anchored, stable pelvis. The Evolution, Stratos and Glider are good saddles but they have been upgraded by the newer Blaster, Vulkor and Nymber saddles. 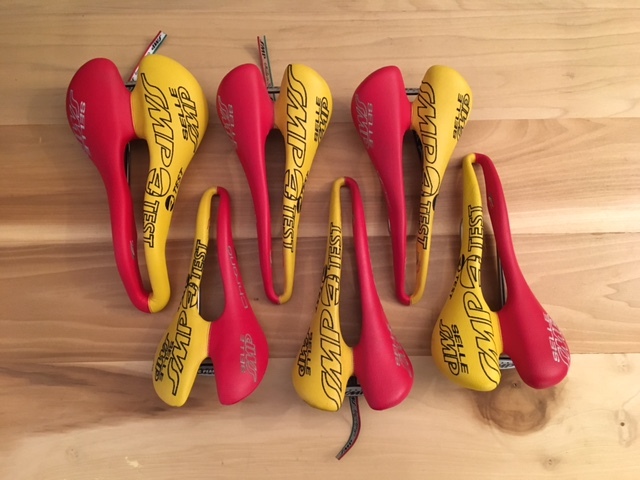 I have a fleet of SMP TEST saddles that can be used for a rider to figure out which model may be the best fit for them. Please use the Paypal button to select and pay for a test saddle. Normal demo time for a SMP test saddle is 1-3 weeks. There is always demand for these saddles, so I ask that customers try to wrap up their riding in this time frame, but the idea is to use the test saddle as long as you need to in order to understand the concept and see if it works for you. Everyone is an individual, and one rider’s perfect saddle solution can be another’s nightmare. The ideal is to have the saddle disappear completely from the riding experience. Some riders don’t believe me when I explain that this is possible, but I have seen it over and over again with my customers who switch to SMP. If you purchase a SMP test saddle, your deposit will reduce your purchase price by the amount of the deposit. If you do not elect to purchase a saddle from me, the deposit goes towards the cost of the test saddle fleet. The cost for each demo saddle is $20. Please use the button above to select the demo saddle model or models you would like to try.